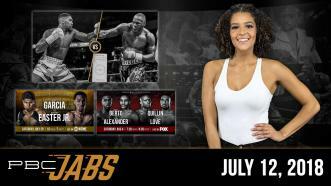 This week on PBC Jabs, we take a look at the lineup for our July 28th Showtime show, including our streamed undercard fights, and former middleweight champ Peter Quillin checks in ahead of his August 4th matchup! 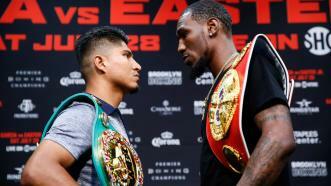 World champions Mikey Garcia and Robert Easter Jr. battle for the title of unified lightweight champion on July 28, 2018, live on Showtime. 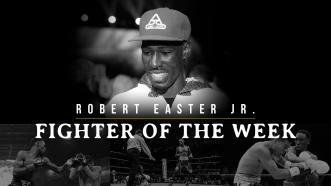 Fighter of the Week: Robert Easter Jr. 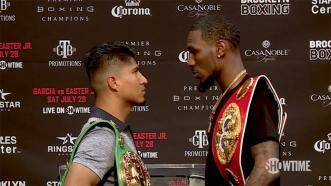 FIGHTER OF THE WEEK: Unbeaten IBF Lightweight World Champion Robert Easter Jr. returns to the ring July 28 when he faces WBC Champ Mikey Garcia in a 135-pound title unification at Staples Center in LA. 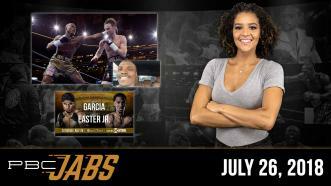 Watch #GarciaEaster live on Showtime Boxing at 10 pm ET/7 pm PT. 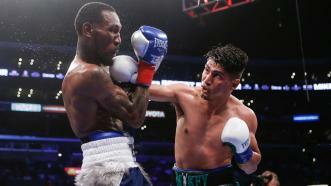 Lightweight World Champions Mikey Garcia and Robert Easter Jr. meet in a 135-pound title unification bout July 28, 2018 on Showtime. 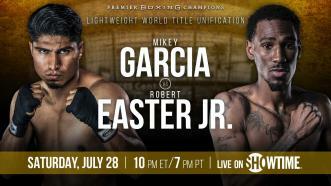 Interview: Mikey Garcia & Robert Easter Jr.
Lightweight World Champions Mikey Garcia and Robert Easter Jr. break down their July 28th title unification showdown on Showtime. 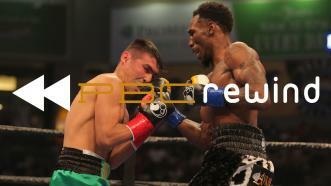 PBC REWIND — 6.30.17 — Robert Easter Jr. successfully defended his 135-pound world title for a second time when he earned a hard-fought UD win over Denis Shafikov in a homecoming bout in Toledo, Ohio.